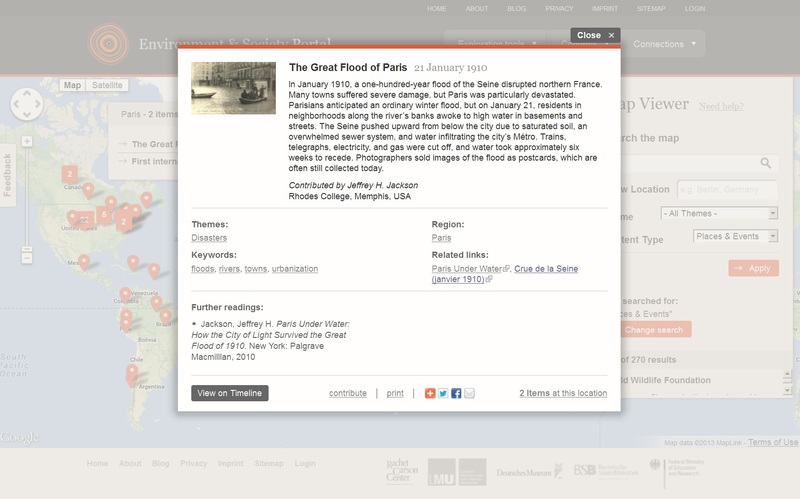 Designed for easy browsing on the Portal’s map and timeline, “Places & Events” is a growing collection of bite-sized content about environmentally significant sites and historical events. Each item contains a very short description, a thumbnail images, links, and suggestions for further reading. To view Places & Events on the Portal’s map or timeline, click on the buttons below. While nearly all Portal content is indexed for the navigation tools, here they are filtered to show Places & Events items only.